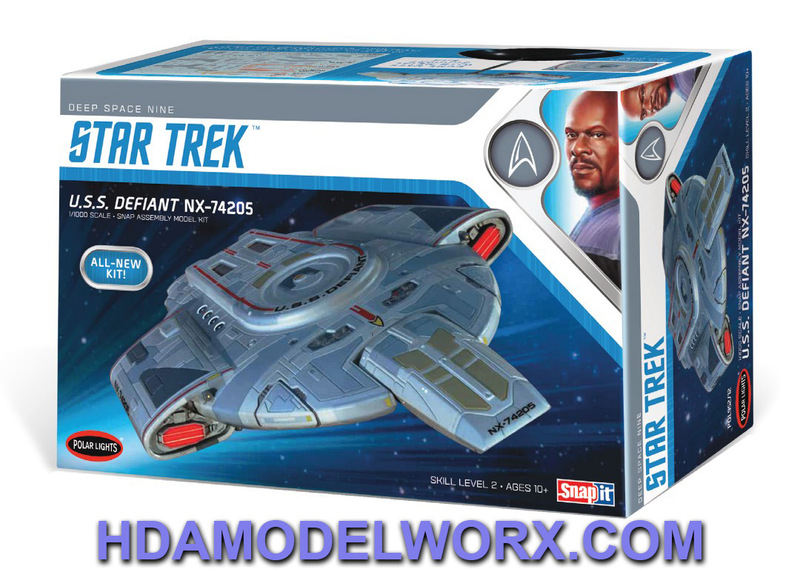 As the capital ship introduced into Star Trek: Deep Space Nine, the U.S.S. 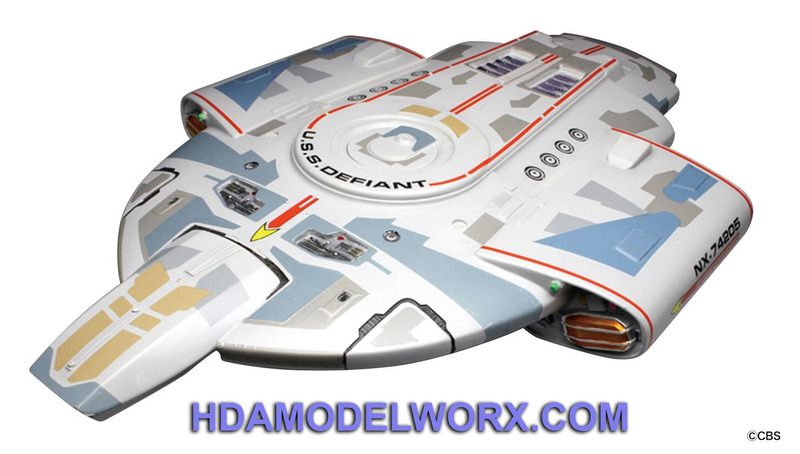 Defiant NX-74205 was a prototype vessel designed specifically to combat the Borg after the disastrous encounter at the Battle of Wolf 359. The compact warship was assigned to the Federation space station, Deep Space 9, as a countermeasure to imminent Dominion incursions. Polar Lights presents this all-new snap-assembly kit of the fan-favorite spacecraft. The ship is engineered for simple assembly, and has been researched for the utmost authenticity.